I have received many requests on helping people figure out tips and tricks for successfully getting into a German university. Although it certainly depends a lot on the field of your choice of higher education, there are certain things that are common across most fields and I’ll try my best to enlighten you on the same. University/Universität: Technically, the toughest ones to get into and filled with students who would potentially later enter research, this is the equivalent to government universities back home, such as Delhi University, Mumbai University, etc. State-run and with strong private partnerships, these universities provide the largest scope from a future options perspective but are often the toughest to get into. Most researchers and scientists will either begin or continue their career from one of these institutions which provide best in-state research support for doctoral candidates. University of Applied Sciences/Hochschule: Many technical studies have a special university which is focused more on practice instead of theory. These schools are aimed at training you for specific skills you will need in the job sector and have a huge emphasis on practical work experience even while studying. Colleges of Art & Music/Hochschule für Musik oder Kunst: Usually independent, but some times they can also be included in the bigger framework of regular universities. Needless to say, these universities are specifically for students aiming to pursue a career in art or music. Private Universities: Private universities are usually run by huge support from private sector mammoths and aim at getting you to work long term in those specific organisations. Needless to say, the course structure is limited and the benefits uni-directional with a much lower eligibility criteria for entrance than the schools above, although this may differ highly based on the field. The majority of programs whether in German or in English start in the Winter semester(October), but a select few can also start from the Summer Semester (April), so it pays to keep this timeline in mind. In case of applying to the winter semester, all decisions will be rolled out to you earliest by July or August or even earlier depending on the university’s process. The program you aim to get into would clearly provide a criteria for entrance which may differ on the type of university you apply for. Regular university stresses a lot on your latest entrance qualification which would be your Class XII grades if you plan to enter a Bachelor program. It would be your Bachelor degree in-case you plan to get into a Master program and of-course your Master degree to get into a PhD or doctorate program. Depending on the course language, a German language proficiency might be required along with English if that is the primary course language, sometimes both if the program is mixed. For a master degree, you need to show 4 years minimum of under-graduate studies to be eligible which in the case of engineering students is usually the case. However, this would not be true for people from all backgrounds, since undergrad schools in some countries tend to also offer 3 year degree programs. German method of grading is completely different from most typical GPA systems. Loosely converted to Indian absolute system a minimum of 70% or a 7/10 CGPA would usually be required, unless additional tests such as GMAT or GRE are required which I would say is clearly the minority requirement in Germany. Work-experience is usually only required for advanced degree programs or specialised programs such as Marketing, Finance, Accounting, etc but even so is not the mandate. A link for all international programs can be found at the end of the post. Germany offers a mind boggling variety of options to choose from even within just one field which is completely different from the university system back in India which is quite limited. One is even allowed to undertake subjects at a different faculty subject to pre-approval for credits. For example, you can be studying Mathematics and still take courses for Sports or Music composition. How will you apply to so many programs? Fret not, the Germans have found a centralized way to process your applications which is called Uni-Assist which will translate your grades and provide you with the required transcripts needed for entrance qualification. The link is provided in the last section for the same, but bear in mind this process takes 4-6 weeks, and most universities will still want a “paper copy” packet mailed to them before the deadline. Additionally, Uni-assist charges a minimum fee per application processed. Be sure to start your admission process 3-4 months before the deadline to give you sufficient time to prepare. Language courses at most public universities are free for enrolled students or extremely subsidized. They can usually be taken for some credit and provide an excellent source to get better at a language you have always wanted to learn but never found the time to actively learn. Private universities aside, all the other universities offer the majority of their programs at a very low cost. For example, my entire tuition fee for four semesters would be less than 500 euros and in that I also get a travel pass for weekends and nights in the region in which I live. 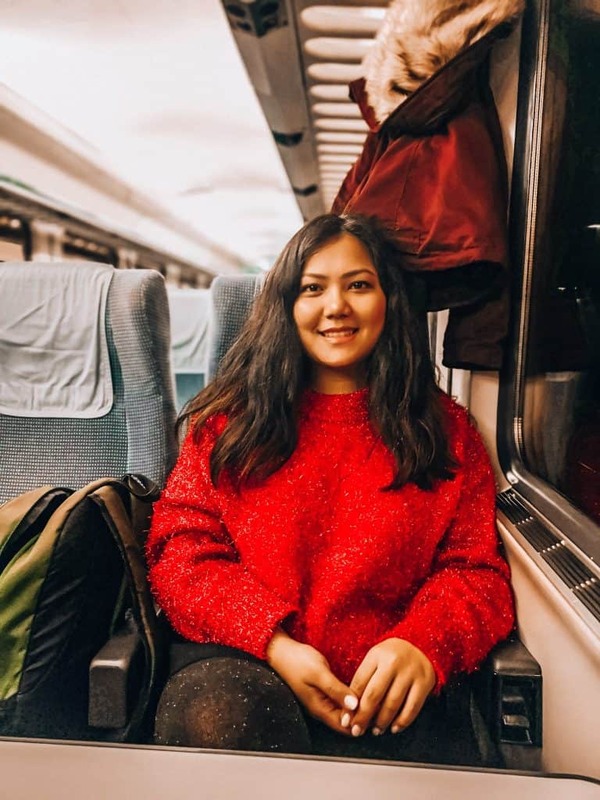 Depending on the region where you stay, students can upgrade that to a full-time travel pass (including buses, trams and trains in the pass region) for an additional subsidized cost for students. As for living expenses, this varies drastically depending on the city you are in. Much as back home, a student in Jaipur will spend half as much as a student in Delhi and in Delhi, half as much as a student in Mumbai on just rent. (Estimates are very rough and only used for an example). Rent and health insurance would be your major fixed costs which could vary from 250-600 euros for a room or a small studio depending on where you live. For a detailed post on the same, read my article here: How much does it cost to do a Master in Germany? DAAD scholarships being the most well-known ones, have a limited range of options when you think of non-doctorate programs. A lot of non-DAAD scholarships are also available for foreign students, but usually subject to a B2 level of German Proficiency. (Common European Framework for Languages). It’s advisable to have a basic idea of German before you land in Germany, simply because even though many Germans speak fluent English, the official language of Germany is still very much German. Besides, your experience would be much smoother and interesting if you know more about how the language influences the culture and vice-versa. In case you don’t get a scholarship, a minimum of 8640 euros is usually required to be shown in a blocked account to apply for a student visa, which would then later be converted into a resident permit after arrival in Germany. It is usually a good idea to provision for the same as well as about 1000 euros more during your first few months in Germany since the blocked account system takes time to really work. (Everything official in Germany takes time to work, so patience is highly advised). 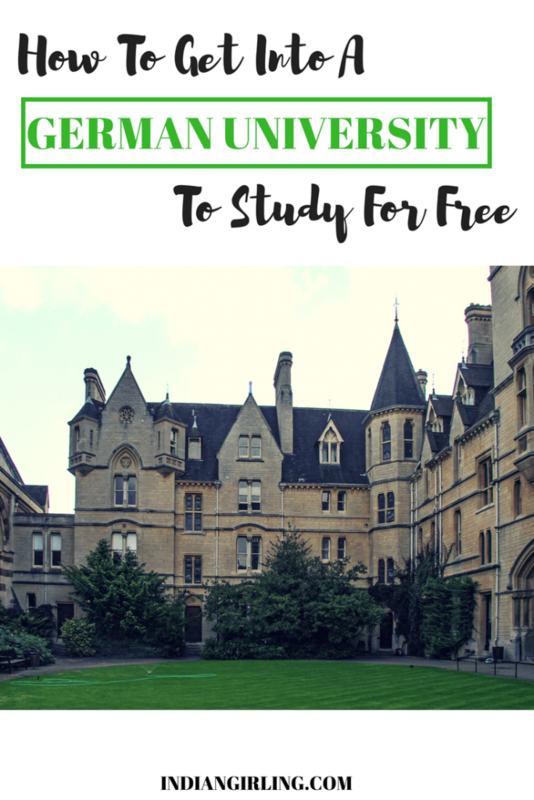 Before you go, click here to get my free 15 Tips to Ace Your German University Applications!